This project enabled a pilot of the use of dermatoscopes within the primary care to up skill and support GP’s with lesion diagnosis. The CCG purchased dermatoscopes for nine practices who were one of the highest 20 referrers for dermatology Out Patient First Appointment (OPFA). 11 practices attended the training with 9 practices receiving a dermatoscope and a manual to support continued learning. It was expected that the practices would deflect from a secondary care appointment, between 2 and 4 dermatology referrals per month. The practices agreed to complete a 3 month pilot capturing the outcomes of their use of the dermatoscopes. Phase 1 showed positive results with of a third of the lesions assessed within the 3 month pilot deflected from a secondary care appointment, with just under half of the lesions assessed as having a change in clinical practice. Phase 1 results enabled a further rollout of training and the purchase of a further 11 dermatoscopes for Phase 2. Within Phase 2 38% of the lesions assessed within the 3 month pilot were deflected from a secondary care appointment, with just over 43%of the lesions assessed as having a change in clinical practice. We are now rolling out to our remaining practices. GPs have stated that the learning from taking part in this project has been thought provoking, relevant, motivating and valuable. The pathway of care for patients has been improved by GP’s being able to diagnose and treat more dermatology cases within a primary care setting. 30 year old female attended one of the practices with a 2mm mole on her thigh which she thought might have changed. The GP assessed that the lesion looked harmless, and that she just needed some advice on sun care and monitor her moles. However, the GP stated that he had this new piece of equipment so he would take a look at the lesion under the dermatoscope. The GP noticed that there were some whitish veils present and that the patient needed to be referred on a 2WW. The lesion was a melanoma in situ. She is now had a wider excision and she will have no further problems from this lesion. In a year or two she would have had a malignant melanoma. Without the dermatoscope the lady would have been told just to keep an eye on it. This intervention has changed the life of this young lady. This has given her 15-20 years extra life, avoided body image altering plastic surgery with skin graft and potential systemic treatment. This project has gained considerable interest both locally and nationally. 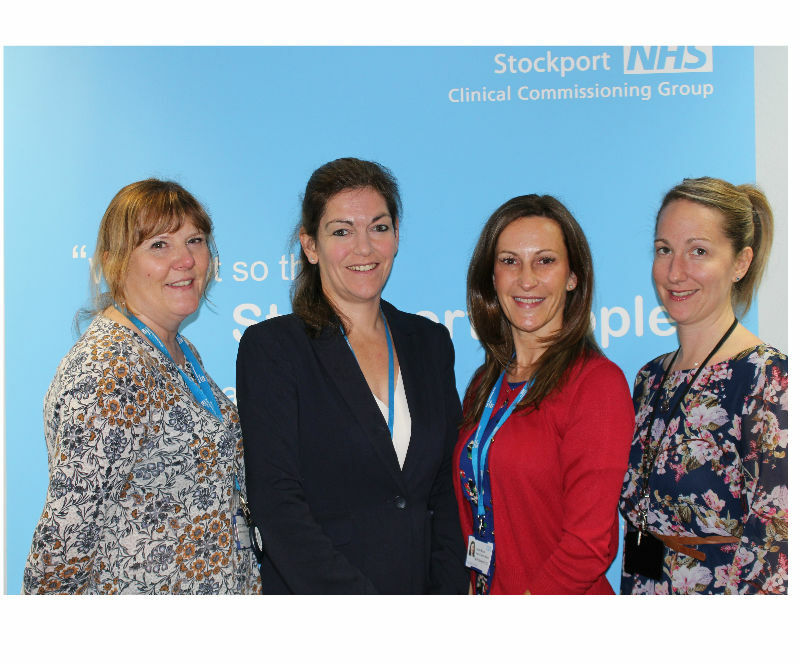 Stockport has cascaded their learning to East Lancs, Bolton, Somerset, and nationally via NHS England. During the project Phase 1 and 2, we have split SUS data from this period, April 15-June 17, to show practices with dermatoscopes and non dermatoscope practices. The data shows that for GP referred 1st OPA for dermatology from dermatoscope practices compared to non dermatoscope practices there is a statistically significant reduction in referrals of 15% with no change other than random variation for the non dermatoscope practices. Our LMC chair has stated that the up-skilling of GP’s and the distribution of dermatoscopes has altered referral behaviour to 2 care services by using more in-house skills and primary care diagnosis.